!!! I am slain by the sheer adorableness! Yes, he is very fortunate to take after his mother. Daughter went as an Egyptian princess, so sort of an unintentional Ancients/Classics theme. Excellent! Nicely painted shield mate. Good looking kid too. Brilliant! 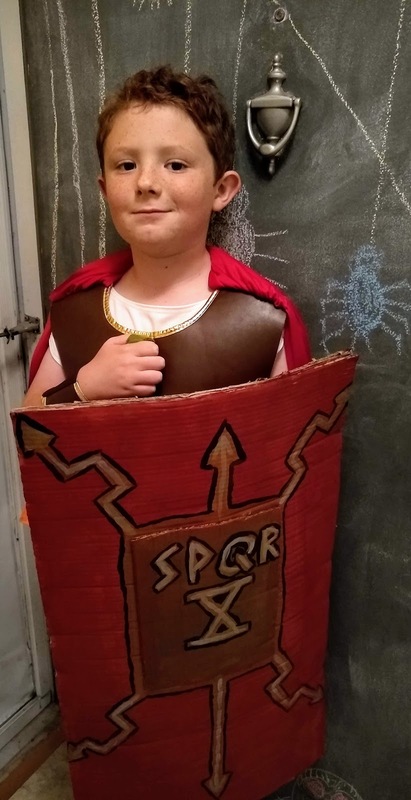 The closest I got to getting my kids into anything remotely historical was the year they made their own Medusa and Cthulhu costumes... not really historical... but sort of classical/mythical/literary...? Those are great Tim! The Medusa snakes in particular are very well done. Dad of the year stuff right there. Great costume.